As an Head of Infrastructure Solutions Dept and part of the Operation and Technical Division The Infrastructure Manager's role is to plan, organize, and manage staff and overall operations, both during pre-sales and post sales activities to ensure delivery of our services and solution for our customer on time. The responsibility also includes developing, maintaining, supporting, and optimizing key functional areas of our customer, particularly their network infrastructure, server infrastructure, data communications, and telecommunications systems. The Head of Infrastructure Solutions Dept will also schedule and direct activities to resolve hardware and software problems in a timely and accurate fashion, by themselves or together with the Technical Project Manager. Generate implementation plans and provide technical guidance during deployment activities of the solutions that we offer. Develop installation standards and perform periodic audits to ensure adherence to standards. Maintain network records and engineering documentation. Support higher level trouble resolution. 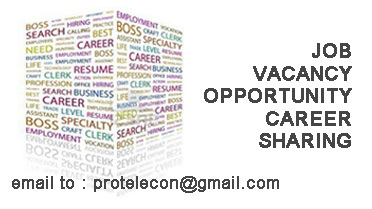 4-8 Years of experience in the telecommunications industry, preferably in a carrier environment. Knowledge of fiber and microwave transmission networking, design, Metro Ethernet systems, SDH/PDH and Solid understanding of OSI layers, WAN/LAN data networks, Metro Ethernet networks and IP/MPLS networks. Technical expertise in Core network design, MW / optical networking, Access network, GSM/CDMA network and Telecom network billing services. A familiarity with Cisco, Juniper, Mikrotik, Ericsson, Huawei, or Siemens equipment is a must. Familiarity with test equipment such as protocol analyzer and other network analysis tools. Excellent understanding of cellular theory and technologies. Bachelor’s degree in an electrical engineering/technical discipline and/or equivalent related industry experience. Knowledge of NMS, EMS, OSS and BSS as well as well as planning and monitoring tools. Excellent written and oral communication and presentation skills in both English and Indonesian. Preferably holding valid CCNA Certificate.